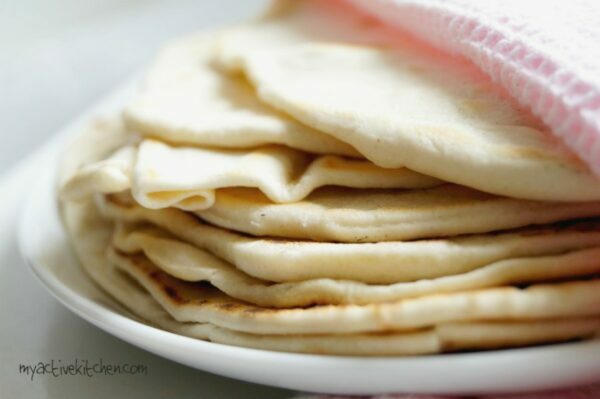 This homemade shawarma bread is unbelievably easy and it is ready in no time. A perfect alternative to pita bread! 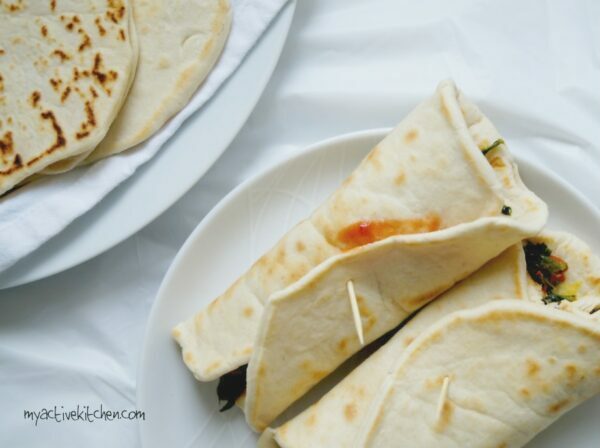 Someone grab the butter, shawarma bread is ready…Today’s recipe is long overdue and I should have posted it after I made shawarma recipe for the blog last year. Thanks to procrastination and a very good excuse about bad weather. Anyway, it’s never too late to redeem me. 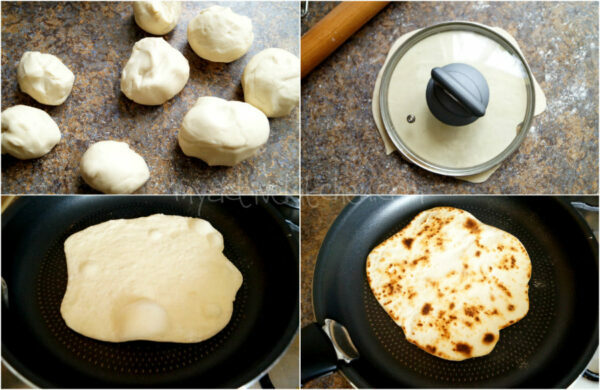 Here is a simple and basic recipe on how to make your own shawarma bread or flour tortilla in the comfort of your home without worrying about the chemical jargon in the shop bought own. With this shawarma bread recipe, you are guaranteed not to visit the shop again for one. These can be made into pita bread and it is perfect with this spicy falafel. You can use the pita bread to mop up this easy chicken curry too. So good! Transfer the dough unto a worktop and knead for about 8 to 10 minutes. Place the rolled dough on the frying pan and cook for about a minute, you will notice some bubbles on the surface, cook until slightly brown but not burnt. Flip to the other side and cook for another 30 seconds. Take it off the heat and place in an airtight container/oven/microwave. This stops the tortilla from drying out and will keep warm till you are ready to use it. Serve warm with shawarma or any other filling of choice. I tried this recipe today. 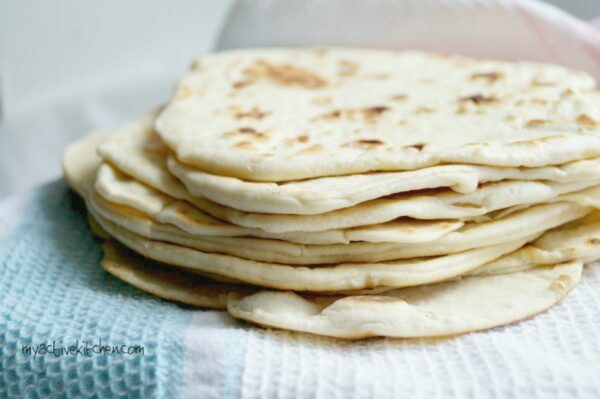 But instead of using white flour I used wholemeal flour, and unfortunately the tortillas were quite stiff and didn’t form bubbles while cooking. I’m not sure if the type of flour doesn’t work for this recipe or if I should’ve added more water than the recipe suggested. Do you have an idea what went wrong, or how to improve the result next time? I tried this out today. The tortillas were beautiful. But once I cooked and folded them, they cracked instead of staying soft and flexible. I’m not sure what I did wrong. Any ideas? Thank you for the feedback. 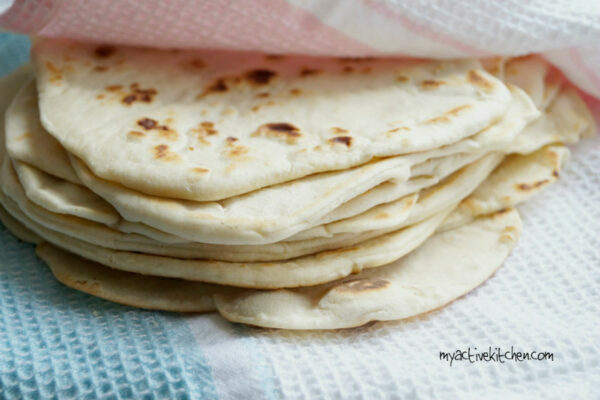 Here are tips to make your tortilla soft when next you make them. 3.make sure you use the right amount of flour.